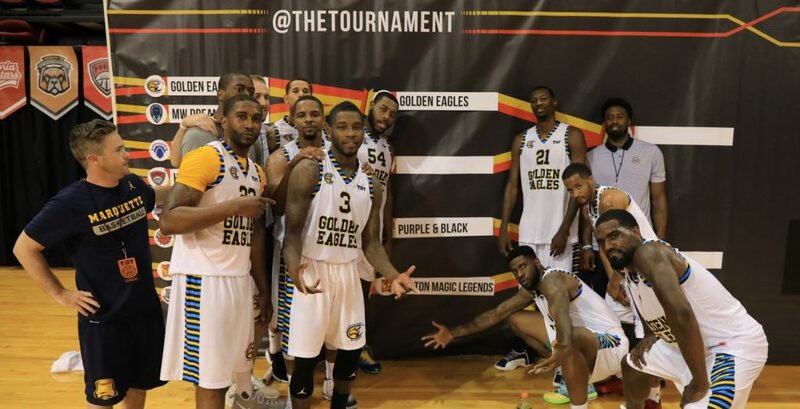 The #1 seed in the Midwest, Golden Eagles (Marquette alumni) started off a bit slow, but ran away for a 103-89 victory over the Midwest Dream Squad. The traditional box score can be found on the The Tournament’s website HERE. Below, you can find advanced statistics for the team and individual players.